We are expected to clear our bowels everyday on regular basis which means, we need to pass stools every day! However, a few people would have got habituated to pass stools once in 2 days which is still normal for that individual only. Imagine a condition where a person is not able to pass stools for couple of days, most of us would have come across this situation or experienced as well! Infrequent bowel movements or passage of hard stools or finding difficulty in passing stools is termed as Constipation. Our lifestyle and diet is the main cause of constipation. When we have created the problem by our faults, it is we who have to rectify the same without medicines first and if it doesn’t work, then reach out to the doctor!!! 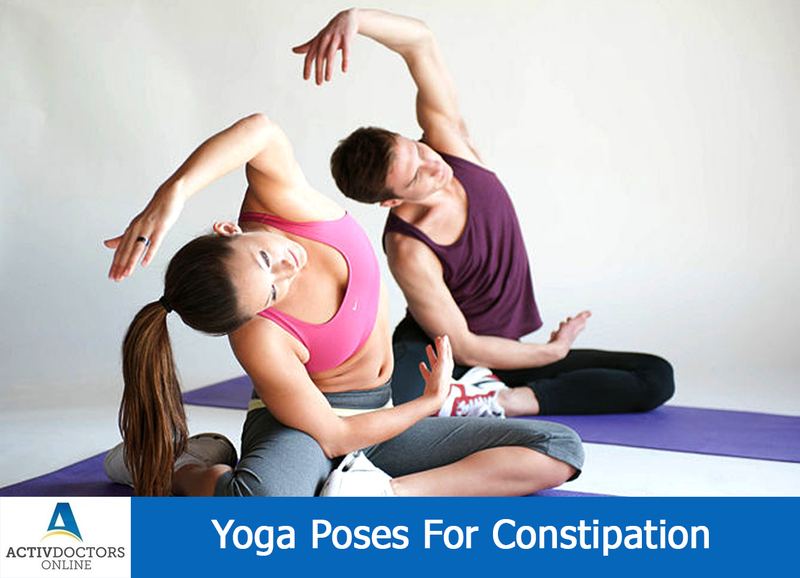 Regular practice of these poses will just not ease from constipation but also keeps you healthy by all means!! Yoga is a holistic approach, certain poses are meant for certain conditions but these poses helps with other conditions as well! Just make sure that you get a clearance from your doctor before you practice and practice for few days at least in front of the registered practitioner!! Yoga can never replace medical treatment, it is a supportive care!! !